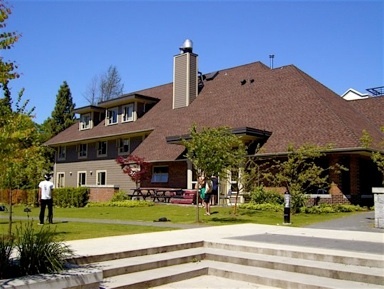 The FIJI Haus, completed in 2004, has four floors and thousands of square feet at the heart of UBC. Our Chapter House is located two blocks South of University Blvd. on Wesbrook Mall in the Greek Village at the back left of the courtyard. Residence includes all utilities and food during the Fall and Winter semesters of the school year. Please contact fiji.house@gmail.com using the form below for information on rates and availability.